There is a media frenzy at the moment centering around credit card debt in Australia, and the fees and interest they attract. It’s a timely reminder how important it is to get control of your finances, and not let them control you! 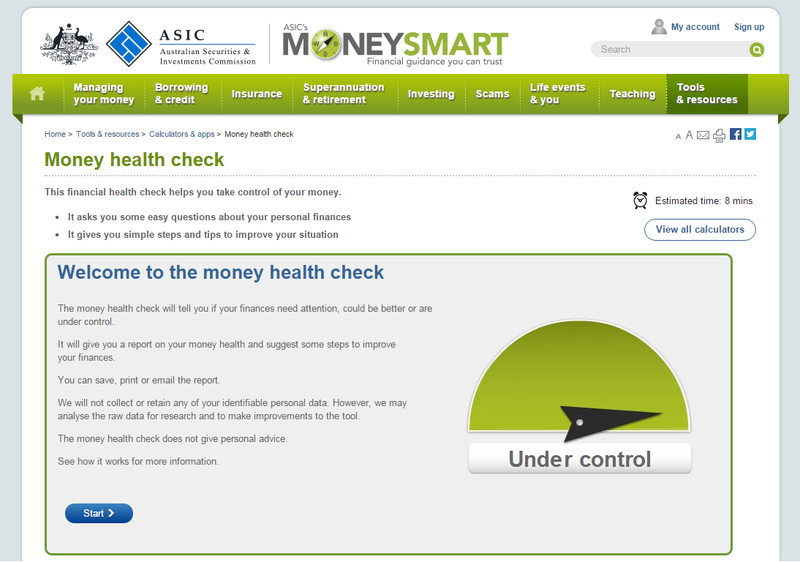 There is some great resource out there on the internet to help you identify how in control of your finances you are. 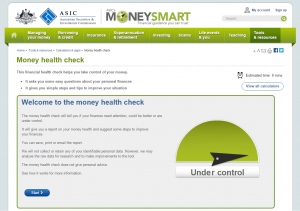 We’d like to highlight one of these tools – It is ASIC’s MoneySmart Health Check and calculators and budgeting tools.